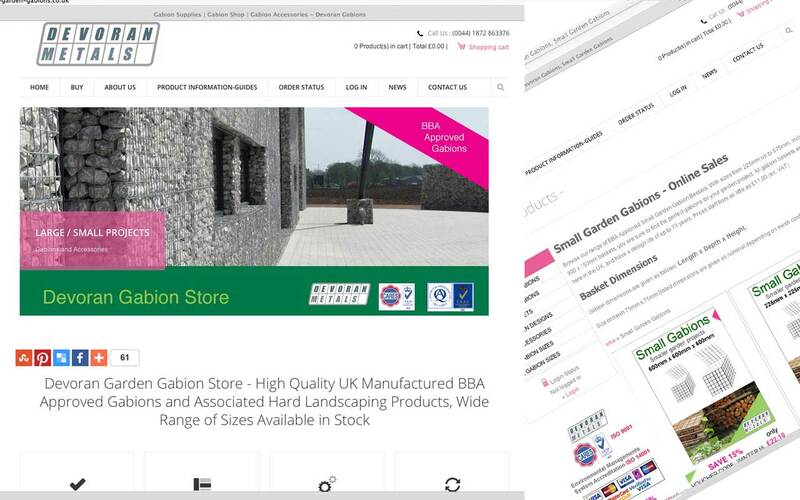 The UK's largest manufacturer and supplier of BBA Approved gabions. Cornwall based Devoran Metals are a leading steel reinforcement company operating in the south west. AKA Media designed Devoran's original website for their core business - all types of steel reinforment for concrete reinforcements targetting Cornwall and Devon. Due to the popularity of Gabions mainly down to the exposure of television gardening and house building programmes - Devoran wanted to expand their market share of gabions. On completion a diverse range of social media and search engine optomisation was undertaken. Google 1st page result for Gabions and generic related target key phases.